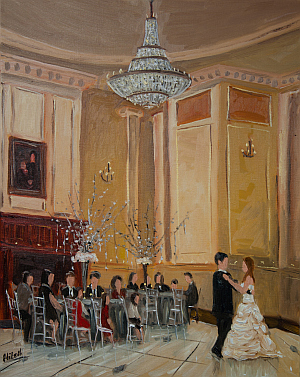 Tesh created a beautiful oil painting of our first dance during our wedding reception. Tesh’s art speaks for itself. He is a pleasure to work with, and I am so glad we have this painting as a remembrance of our wedding. It really is a unique way to commemorate the big day. It is something we will have and admire for many years to come. 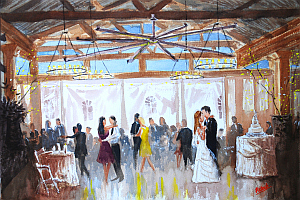 Tesh was absolutely wonderful to work with and left us with the most beautiful watercolor painting of our wedding reception. We have received numerous compliments on his work and can’t wait to have his masterpiece hanging in our home for many years to come! He was able to capture the moment, and all the details that surrounded our day. We are so thankful we found him and so lucky he was available on our date! THANK YOU! !